Is this the next teen sensation? 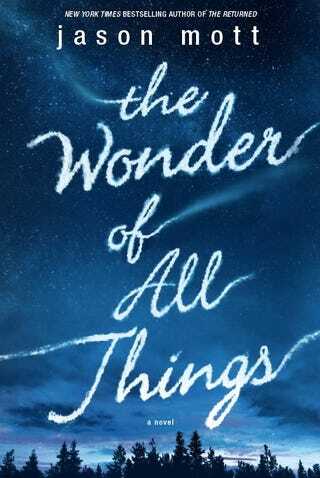 Lionsgate has picked up the latest secret super-powers novel The Wonder of All Things by Jason Mott, author of The Returned. When a pilot loses control of his plane during an air show and crashes into the stands, two 13-year-old best friends, Wash and Ava, are trapped beneath the rubble. They are found by rescuers, but Wash is seriously injured, a chunk of steel protruding from his belly. Ava tries to help him by pulling free the metal, but blood rushes out; he's dying. She panics and puts her hands on the wound, crying. When she pulls her hands away, the wound is gone, healed without a scar. Rescuers captured the miracle on their cell phone cameras. It goes up on YouTube, and she becomes the center of attention from media, scientists, and religious leaders. This makes the second deal for Mott, as The Returned is currently a TV series on ABC.